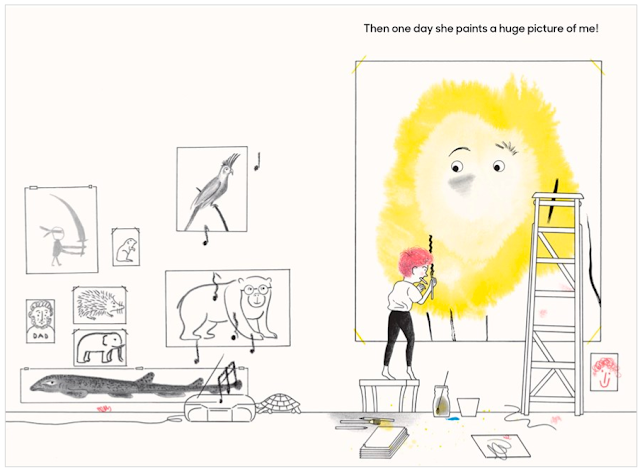 On the surface, this book is about a girl named Martha. 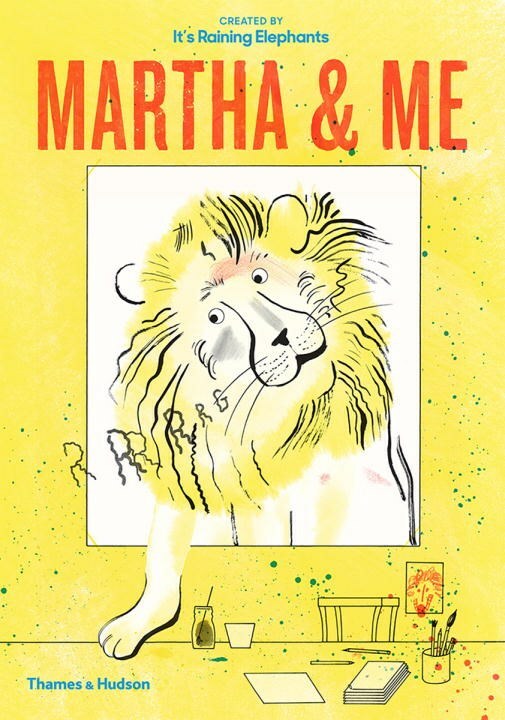 Martha loves drawing and painting, and when one of her drawings of a lion comes to life the two set off on an adventure full of fun, compromise, and artistic investigation. On a deeper level, though, this book explores some fascinating questions. Where did the lion come from? What is the line between fantasy and reality? How can art open up our hearts and minds to whole new worlds of imagination? 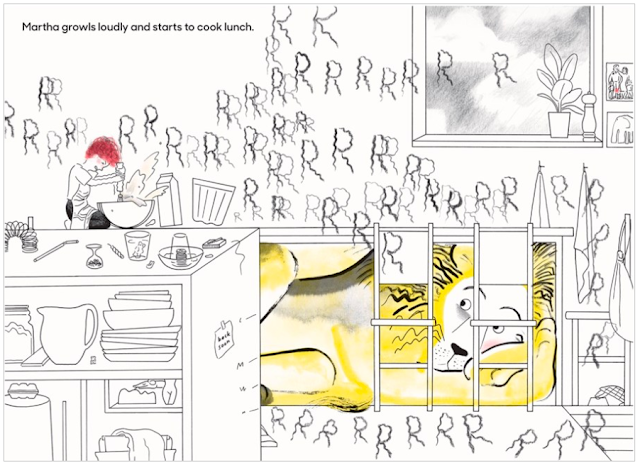 It's Raining Elephants is the name of the Swiss illustration duo Nina Wehrle and Evelyne Laube, and together they are a powerful force. 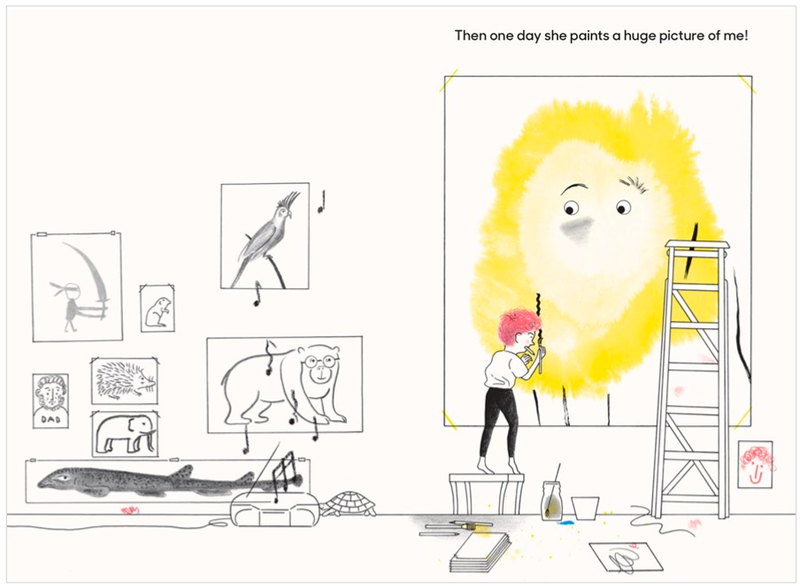 The illustrations are black and white pen with splashes (and often more than splashes) of color, and the book acts as a wonderful primer on primary colors. Using only blues, reds, and yellows, Wehrle and Laube explore every conceivable color combination organically as the colors clash during bouts of play, times of frustration, and ultimately, moments of friendship. Not to mention all the fun little details that readers can follow through all the pages (my favorite is the turtle). Martha & Me publishes from Thames & Hudson on January 16, 2018.